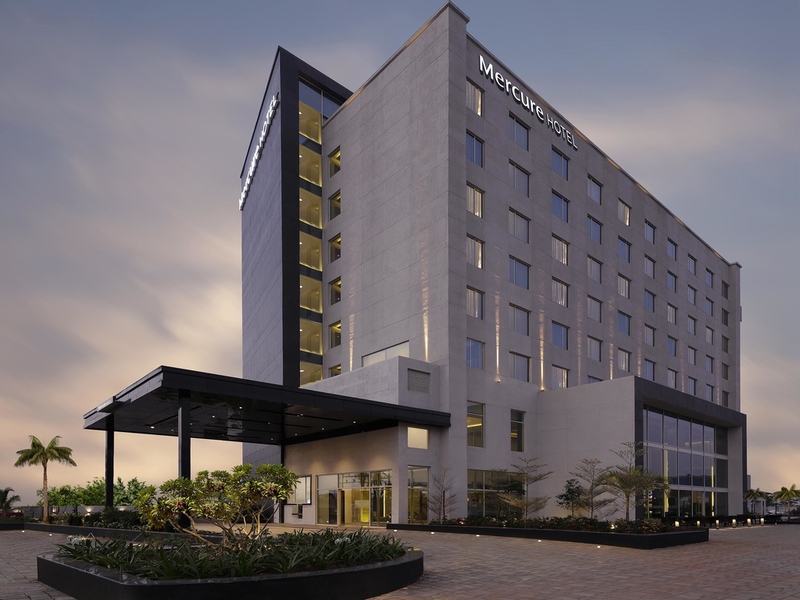 Mercure Chennai Sriperumbudur, the only international brand in Sriperumbudur-Oragadam industrial area and automobile hub. It is 45 min drive from Chennai airport. Mahindra world city and Marimalai Nagar are just 15 min drive from the hotel. Hotel features an all day dining restaurant with alfresco, multiple meeting spaces, a fitness center, travel desk and entertainment facilities. This hotel located opposite to Apollo Tyres is also in close proximity to major corporates & IT companies. Only international brand located within an hour drive from temple town of Kanchipuram, famous for its historical temples, rich culture and heritage and textile industry, the hotel is an ideal place for guests visiting Kanchipuram. Urbanely designed and featuring a host of amenities, the hotel has 100 rooms and suites with plush beds, work desk and shower in all rooms. Free WIFI and access to fitness centre are sure to create a great stay experience. A heart of the house café bar & lounge designed into multiple spaces to act as meeting space, a retreat or a stylish entertainment hub whatever the mood that strikes you. Serving a dynamic selection of cocktails, beverage and finger food.